Information here was pulled from the Crosley Automobile Club Inc. Early in 1949, the Crosley Cast Iron Block Assembly, called the CIBA for short, was introduced. 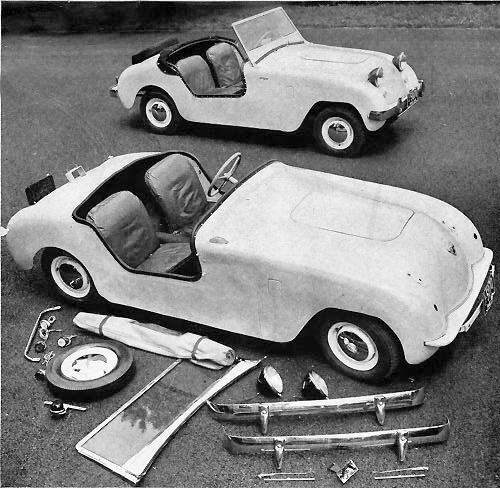 The new engine weighed only slightly more than the CoBra engine, which it replaced, and promised better durability. Several variation of the cast iron CIBA were made, starting with a flat top combustion chamber and ending with a Turbulator combustion chamber. 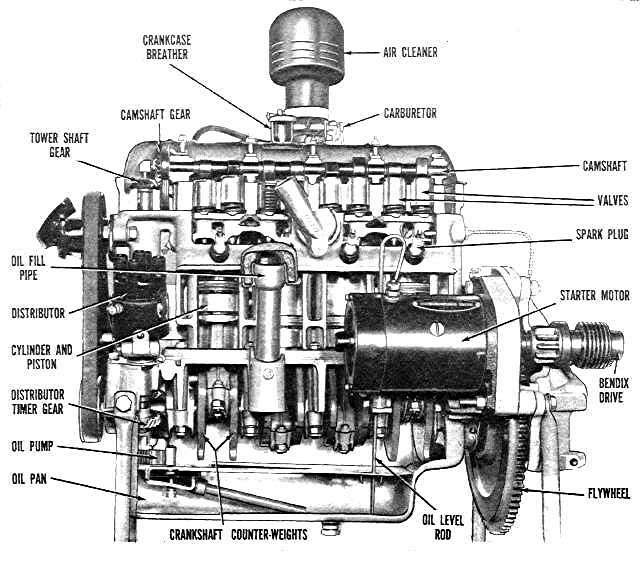 It also had advanced features such as overhead cam shaft, valve rotators, and four-ring pistons. 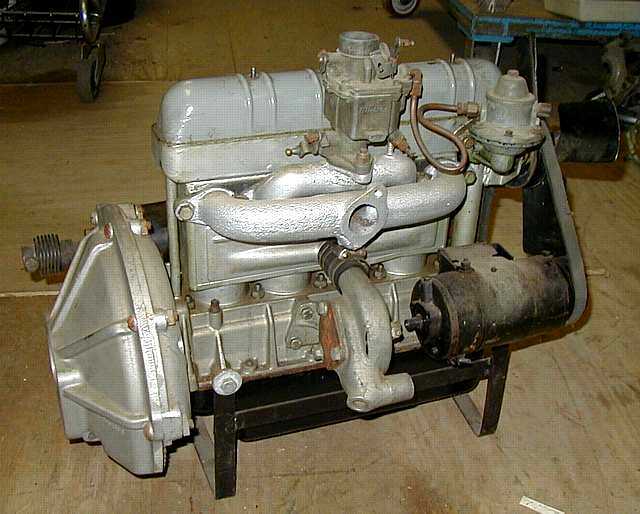 A limited number of 10:1 QuickSilver engines were made for some Super Sports models, they used an alcohol/water injector on the carburetor to keep them from spark knocking. 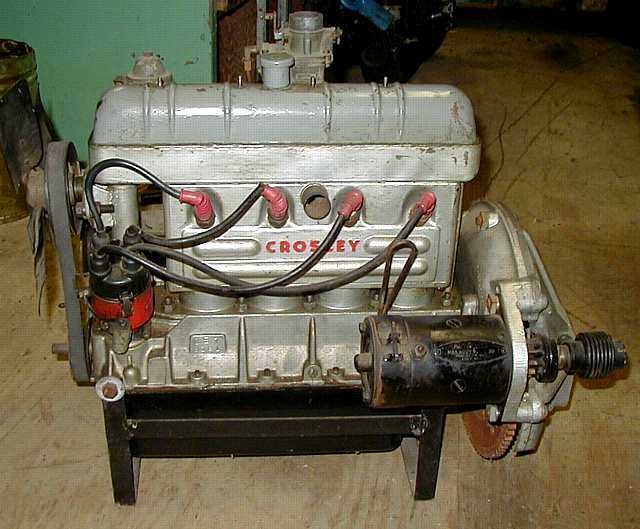 One byproduct of Crosley's war effort was the production of a lightweight four cylinder engine. This was used for auxiliary power for field equipment, aboard PT boats, and B-17 bombers. The unique little mill was fabricated from sheet metal rather than cast iron. The name is short for Copper Brazed. It had its beginning at Taylor Engines, Inc., in Oakland, California. 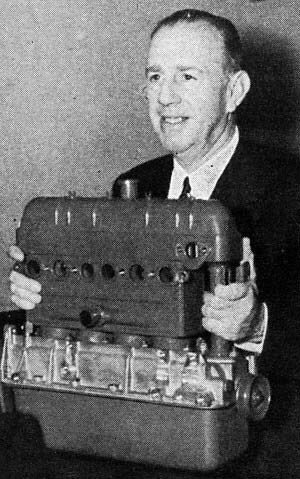 Taylor Engines was a three man company, consisting of a machinist named Jess, a draftsman named Joe Smith and Lloyd M. Taylor, the man with a dream. Taylor was a self-taught mechanical genius. 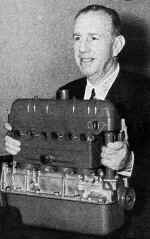 Taylor knew the trouble with high compression engines had to do with thermal efficiency. At the high compression ratios needed to get lots of horse power out of a small displacement engine you could get violent denotation at unwanted times, sending shock waves through the block, canceling any gains in efficiency, and possibly destroying the engine. Taylor's obsession was to figure out why that happened, so he could make it stop. As he came to see it, the stumbling lay in the inherent properties of cast iron, the standard material for engine blocks. Technology of the time did not allow castings thinner than 1/4 inch, thicker in most places. Taylor calculated that temperatures could rise to over 600 degrees on one side of an engine block wall in spite of the coolant flowing past the other side. Hot spots around the combustion chamber acts as a spark plug, causing the pre-ignition. A thin, uniform wall thickness would dissipates heat rapidly, allowing higher compression. The CoBra block weighs 14.8 lbs. 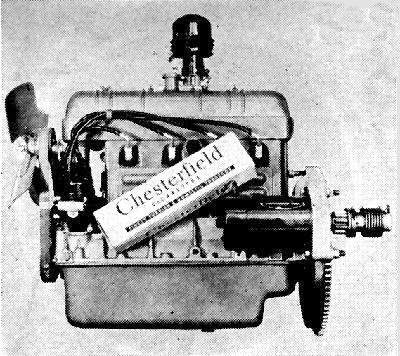 The engine Powel Crosley is holding in the photo on the right weighed 58 lbs. Complete with all accessories including flywheel it still only weights 133 lbs. 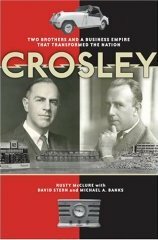 The first Crosleys were introduced in 1939 to sell through the company's radio stores, but production was terminated by the war. 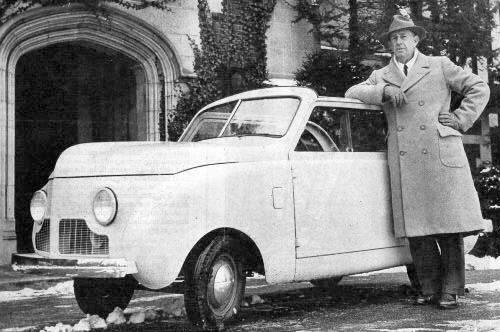 The first post-war car was a 700cc saloon with a lightweight engine. The Hot Shot, after initial skepticism, was well received, having a rigid chassis and good suspension. The open Super-Sports had a 750cc engine, OHC, and cast iron cylinder block. 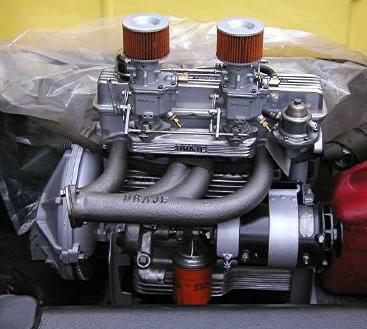 The 750cc, dual fuel engine was a success, catching the imagination of many special builders for racing. Unfortunately the out-dated bodies were not good enough for the public and sales fell. In July 1952 the company was sold to the General Tire & Rubber Co.